Here is something eye catching! Every day there is a cute animal photo with a funny or interesting comment. 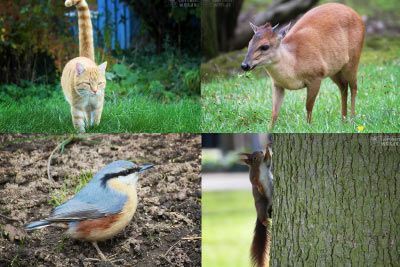 Many of the animals have been photographed by us. We walked across meadows or through forests and have been in wildlife parks. Photography is fun! Have you ever tried? Blue crabs? Tomato red frogs? Bright green butterflies? Frogs with patterns like clowns? Come on. They must be fake!? No. They all exist! Have a look at these exiting pictures! 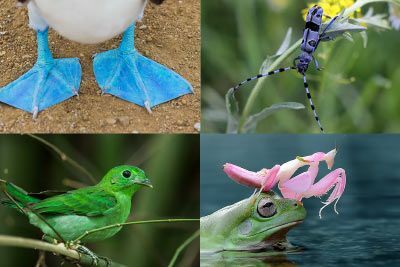 We also explain how it comes that animals have such an unusual color. Baby animals are so sweet! 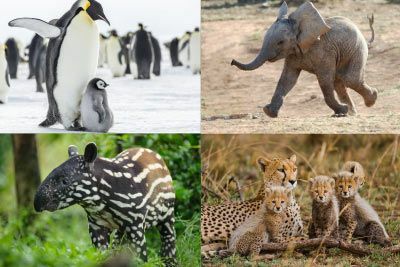 We've put together some pretty, cute and fun photos of baby animals for you. Pigeons can recognize people in photographs.